* Alternate implant styles available at extra cost per manufacturer pricing. Break through your fitness plateau and get the defined abdomen you have been working for. Procedure includes Abdominal Etching plus Liposuction removal of the "love handles"
*may be combined with other fitness procedures for a truly unfair advantage at the beach. 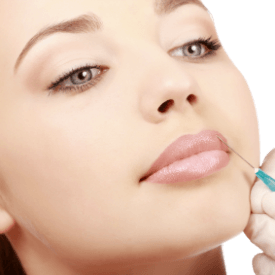 Plump your cheeks and get the full lips you have always wanted compliments of Dr. Beck.